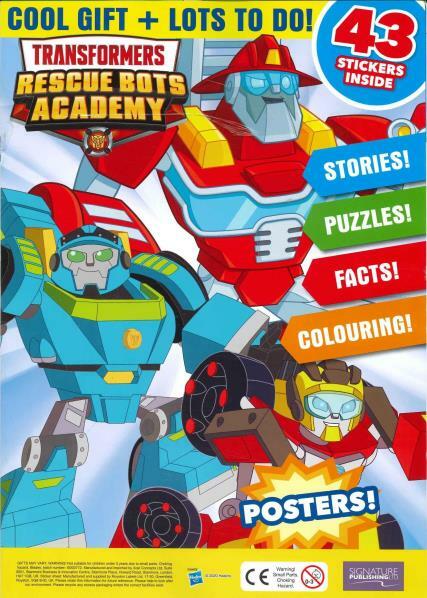 Transformers Resue Bots is an exciting new monthly magazine aimed at pre-school children featuring the characters from the popular animated cartoon series. Transformer Rescue Bots readers can join Chase, Heatwave, Boulder and Blades, along with the iconic Transformers characters Optimus Prime and Bumblebee on their resue mission. This action-packed storytelling magazine is full of games, puzzles, posters and colouring with a focus on teamwork, friendship and problem solving. Plus, each issue comes with bespoke Rescue Bots gifts.